The holidays are just around the corner. With all the prep involved the last thing you need is to add anything else to your list. If you are anything like me when the holidays arrive let’s just say my to-do list has its own list. Right on time, I was contacted again by PopSugar to review this month’s Must Have Box. Let’s see what inside. 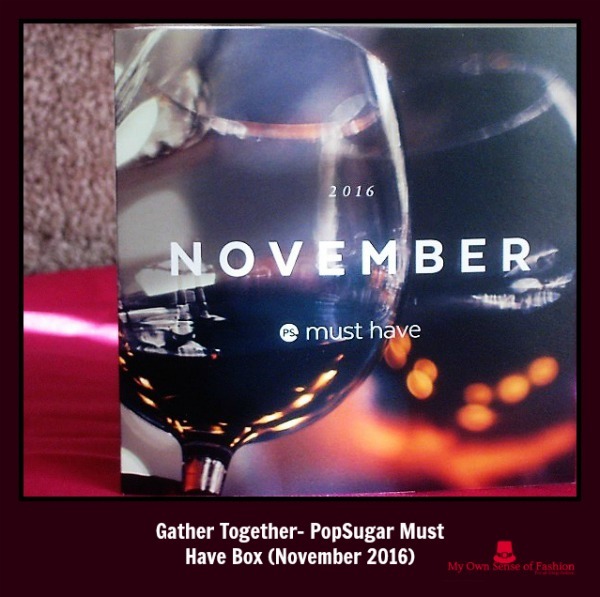 The theme for this month’s box is Gather Together and is filled with goodies that will help make sure you are ready to take on the holidays. Feel like a hostess with the mostess with this gorgeous bracelet. It is perfect for Rose Gold lovers as well. I love the signature drawstring bag that is included. It doesn’t hurt that it is blue which is my favorite color. Add the final touch to your table with this stunning table runner. It is the perfect color combination for this time of the year. Pair it with your favorite accents for a picture perfect tablescape that will keep your guests talking. Depending on you’re the time of your festivities this palette will easily complete your “holiday” look. Best of all it is cruelty-free. I can’t wait to try this out. This bowl can easily serve as a centerpiece on the table. Fruit, Baked Goods, or even Ornaments can be stored in it, the possibilities are endless. It is well made and comes all the way from India. This is one of my favorite items from this box. How cute would this be in your choice of appetizers or desserts? Your guests will be raving throughout the evening just how great of a hostess you are. I might have to use a few. I am a big popcorn fan especially the flavored variety. So when I saw it was included I immediately got excited. Okay, I actually squealed, but let’s not focus on that. LOL! This brand is new to me, but I am eager to try it especially when I have some downtime from holiday prep. It is Gluten-Free so those with allergies can enjoy it as well. Use code SHOP5 to receive $5 off your 1st Must Have Box. This code does not expire. Pick your favorite between the Must Have (like this one) or Must Have Mini Subscriptions. Start your subscription today by signing up here. 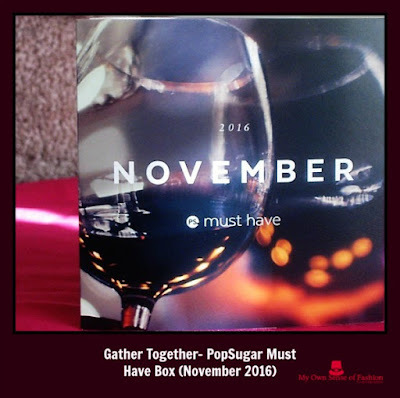 In case you missed my 1st PopSugar Must Have Box review you can click here to read more about my experience. Special thanks to PopSugar Must Have and ShopStyle Collective.